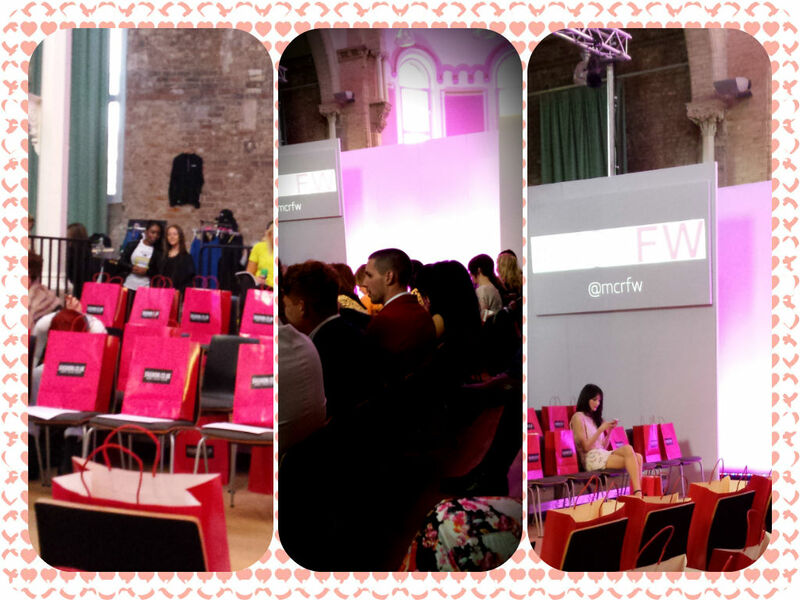 Hello my loves, This is the long awaited post on my experience at MANCHESTER FASHION WEEK! For those of you who do not live within the UK, it is an event held over the weekend to showcase both new and up & coming designers! The day that I attended was Saturday the 19th of April which was Day 2: The Independents & Exhibitors. I absolutely loved it! Along with the brief descriptions of the collections & my opinions, there is a video from the actual show! Unfortunately I did miss one or two collections during the show which I do apologise for if you were looking forward to seeing the collection. To begin with I would like to say that all of the collections were amazing and the ones I talk about in detail are the ones I favourited due to my own personal style. This doesn’t mean that I think the collections were bad, I am just giving my opinion. Sofia Dourvari designs are created for independent confident women and the pre-autumn collection provides some exciting looks to bridge the gap between the spring/summer and autumn/winter seasons. There is more than what meets the eye with this clothing brand. In the 21st century, it is all too easy to pull a word out of the air and plaster it all over garments, get a girl with intriguing, outrageously styled hair to model it and hey presto… You’ve all but got a Brand! 304 clothing are much more than that. They’re playful, they party, they are full of fond memories and they’re all about friendship.The brand is deeply inspired by a culture of music, parties and festivals; they carefully toy with the idea of revolution, but wrap this thought in the warm arms of love. Although I did like this collection, it wasn’t for me as I thought it was too casual for my liking. The collection was designed with both men and women in mind, it consisted of vests, crop tops, sweatshirts, tees etc. Even though it was too casual for me to go out in, I did love the prints which was making me reconsider to get something! Back to nature is a collection of clothes which combines the resources of nature and the imagination of the human mind. The clothes are made using different plants like moss, fern, bulrush, acorn and others. However, the main “ingredient” used is moss, therefore there are trousers, skirts, tops, dresses and bras made out of moss. I think I can speak for everyone when I say that this collection was the one that stood out from the rest! When the first design came onto the catwalk I was amazed, it was something I have never seen before in person and I really did not expect it. They are obviously something that you wouldn’t wear on a daily basis as the whole collection is made with plants. Personally I thought the collection was very creative and looked quite fairy-tail, which I thought was cute. The only bad thing I have to point out is that half way thorough the collection some of the designs were coming apart as the models were walking down the catwalk, apart from that it was very creative. Didi’s Boutique was established in January 2013 by owner and founder Anna Mansoor. As a busy mother of two, she began to sell and advertise clothes, working from home using marketing and social networking sites. Gradually as her customer base grew she then attended events and local shows and filled her remaining time arranging parties at people’s homes. Very quickly her home was filled with rails and clothing and was literally bursting at the seams. I can honestly say I loved every piece of this collection! It is so girly and right up my street! There was a variety of pretty pastels and gorgeous florals that are perfect for the spring/summer seasons.There was also a nice range of swimwear/ beach wear that I loved, along with dresses that flow that are perfect for a holiday. To all the girls who have a really girly/feminine style I will say no more and let you see for yourself in the video. A G&T girl wants an instant fix of style inspiration. Whether you’re looking to update your wardrobe with fresh ideas or searching for that one off fashion steal, our job is easy, as we know what you like because we like it too. We’re inspired by fashion through the ages and like to mix electric pieces to create a current look. We are our customer and don’t want to look the same as everyone else. I had mixed feelings for the Gin & Tonic collection, I think because some of the pieces from the collection were cute and the others were not to my liking. Saying this I think the collection was gorgeous especially the black and white checkered mini skirt. OMG Fashion is run by a young couple based in Manchester. Hayley and Andrew. It all started with a small boutique shop in Manchester. They then put everything into it and set up online. Working from home the couple ran their business just the two of them from their living room. After a few months the couple got help from family members, and space was running low. They managed to convert their loft storage and carried on working from home. This collection was also one of my favourites, I loved there floral maxi dress and playsuit! Along with there of the shoulder frill dress that I think was cream. I would definatly wear the whole collection that was displayed out on the catwalk! Aouse of Jones is a collective of ideas and concepts, which have been brewing for over a decade. From the mind of a Film make/ Writer/ Humanitarian/ Actor/ Lover and Fighter, breathed to life by the help of a team of Artist, Designers, Photographers and Hardship… A newly established outfit, with old life experiences and new questions. Now for the Aouse of Jones collection I did and still do not know how I feel about it. By this I mean whether I like it or not. First of all the collection was made up of t shirts, sweatshirts etc and they all had some sort of print on them which varied. I felt that it was a good collection but not very different. Okay so this is a collection that I LOVE, LOVE, LOVE! It was so gorgeous when it came out onto the catwalk. As it was so glamorous, plus it reminded me of the traditional garments women wear in Brazil during ‘Carnival’. The collection ranged from glam to just drop dead gorgeous clothing. I started Eustratia to offer a different take on latex fashion but I also work in other materials. I’m interested in creating beautiful items that transcend the fashion/fetish/costume/art labels and satisfy me creatively, while also appealing to others and becoming items to cherish and wear with pride for years to come. I enjoy trends and fashion but I prefer clothes that are versatile and can be carried forward from season to season. I therefore aim to achieve a unique but timeless quality within my work. Each Eustratia item is handmade in the UK, with great attention to detail, utilising quality materials and producing a unique look and quality of finish. At first when I read this description about Eustratia I thought the collection was going to be all black latex garments but I was wrong. She really did change the stereotype of latex and put her own very pretty and creative take on it. which I thought was different. The collection was mainly pastel colours, perfect for spring/ summer although the items are not something you would wear in warm wear. All in all I thought the collection was amazing and was unexpected. Since its humble beginnings in the West Midlands in 2001 LUKE has developed into a leading contemporary menswear brand with a following stretching far and wide. Having grown with the support of key independent menswear boutiques the brand has evolved organically keeping all of its values, which sets it apart. LUKE is a practical interpretation on contemporary menswear and has all the components of the modern lad, a gentleman, a working class hero and a bit of a rogue. The brand draws strong influences from the tough elements of its native Birmingham. Foundry worker meets fashionista, Luke’s taste envelops all. I did like this collection and I definatly know a few people who love it! As it is all menswear I can’t really say what I would or wouldn’t wear however, I did see a lot of items for family members, friends etc. The Aftershock London philosophy centres on producing directional, design-led womenswear and accessories. The brand prides itself on a strong commitment to delivering innovative, original products with exceptional design, quality and value. Aftershock is British retailer and its signature style since launch remains in the nature of exquisite handcrafted womenswear and accessory pieces. Aftershock offers exuberant colour schemes, beautiful design work, and an array of casual wear, occasion wear as well as stunning accessories to complement the collection within its womenswear range. Celebrity followers include Madonna, Helen Mirren and Katherine Jenkins to name but a few. I do not know why but I seem to have only filmed one dress for Aftershock which I apologise for but the dress that did get filmed was gorgeous and I did love the collection. Sve is a high end bespoke ladies fashion label consisting of one off ready to wear and couture evening dresses. Sve’s monochromic colour palette has always been at the for front of each collection introducing one striking colour. The use of detailing and embellishments delight the eye making each piece that has been created by Sally Ellis – the designers – own hands stand out from the rest. Sve designer boutique is based in Tarporley, Cheshire. Selling ready to wear, occasion and evening wear, also offering a made to measure bespoke service. Sally designs and makes everything herself with love from her studio above the boutique, and has become a favourite designer with many celebrities from actresses to pop artists. Sally won fashion finest designer of the year award in 2012 and also starred on pop star Rihannas TV show ‘Styled To Rock’. Sve is planning on opening her second boutique in London in 2015. The only way is up. This collection was the last one of the show and it was so elegant and gorgeous! I can honestly say I loved every item, in each colour and design. This collection is worth browsing through, especially if you have any special events or occasions coming up! That is all lovelies, Below is the video of the show! Hello my beautifuls, since I have not done anything related to fashion so far oops (cover my eyes). I thought I would post some of my favourite jewellery for you guys! I only chose my faves because if I showed you all of it we probably would be here till christmas. Lets get started with the things I have been wearing the most lately….. Okay darlings I have labelled all of the jewellery one way or another :P, just to show you where I got each item from so it is clear and I thought if I labelled them all when they are duplicated it would be a little silly of me. I actually wear these pieces quite a lot, my other pieces probably feel left out but they are just gorgeous don’t you agree? 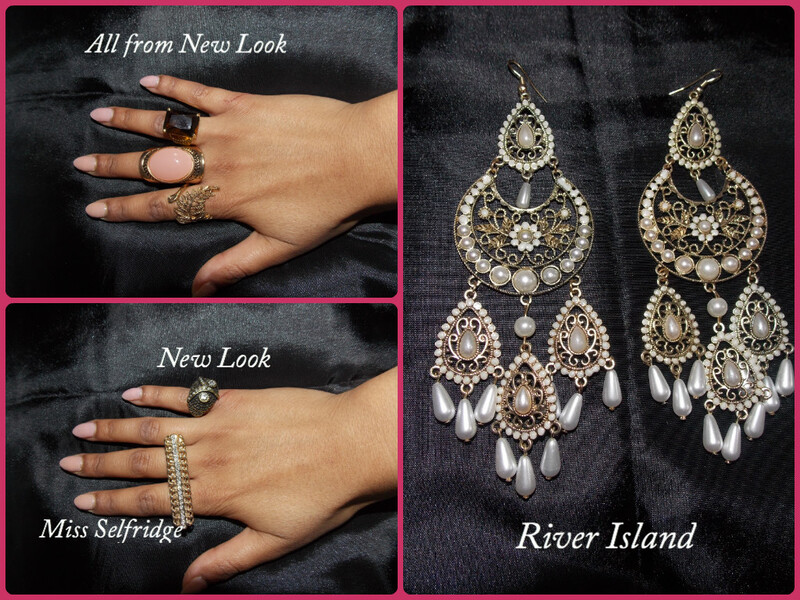 This is the last lot of jewellery I am going to show you and what a surprise…. it is mostly all from New Look. 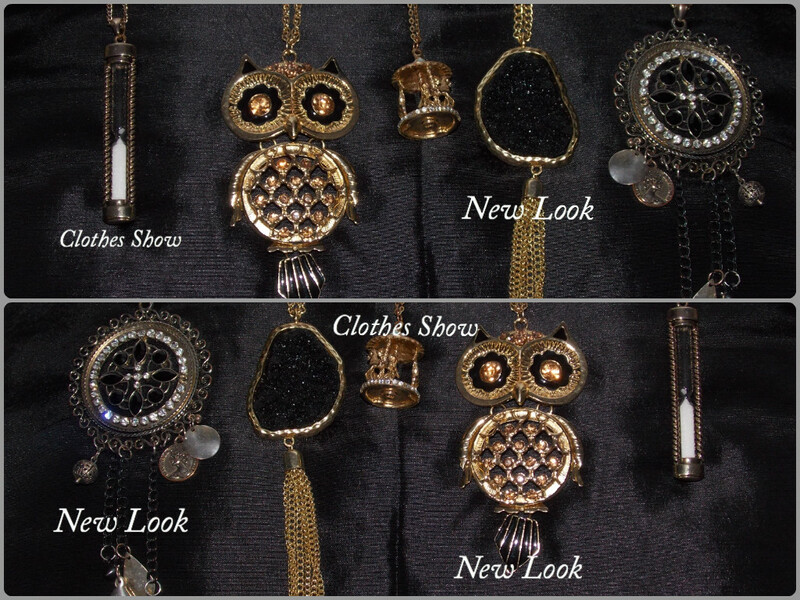 I dont really wear long necklaces that much anymore but they do go with a lot of things especially in the summer. The other two pieces that are labelled ‘clothes show’ I purchased last year at the clothes show. This is held every year at the NEC and every time I work there its a must to do a bit of shopping! If you haven’t heard of it check it out for this year. It is also a lot cheaper then buying from your favourite brands regularly! 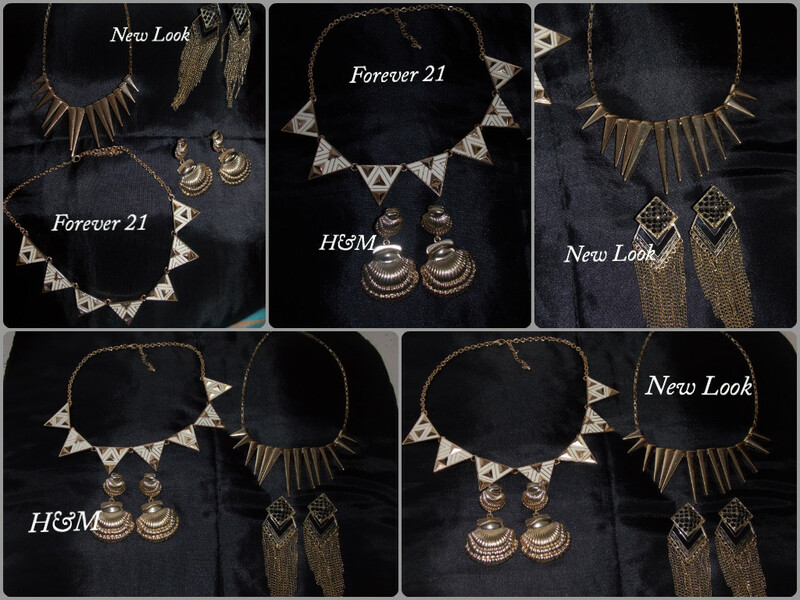 Out of all of these pieces of jewellery, which is more your style? Please like or comment below. Would love to hear it!